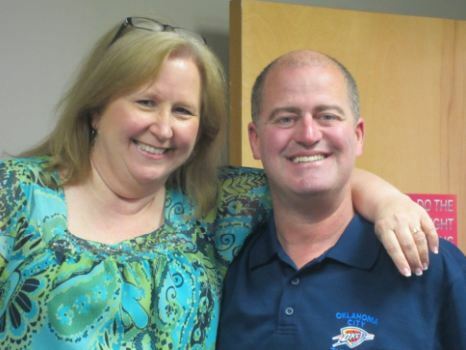 Above: Tammy Barnes, Employee-Owner of the Year, and Cisco-Eagle President Darein Gandall. Tammy Barnes has been named our 2013-2014 Employee-Owner of the Year. is distinct because it is awarded directly by a committee of employees rather than senior management. Tammy, the company’s Controller, has worked at Cisco-Eagle since January 1, 1981. This was her first job out of college and she started as the receptionist and is now the Controller of the company. Her many jobs include payroll, group health insurance, 401k, other HR functions, commission processing, government reporting, general accounting, plus much more. having raised a precious little boy into a man that she can be proud of. She is the grandparent to three dogs, one of which lives with her.